As we close another year of working with great clients and completing lots of remodeling projects, we thought it might be fun to create our own list of the top 5 remodeling selections we saw this year. All the magazines do their own "Best of" or "Top Trend" lists, so we thought why shouldn't the Thompson Remodeling team get in on the fun too. So, without further ado, here's our list of the Top 5 Remodeling Selections for 2015! White cabinetry. 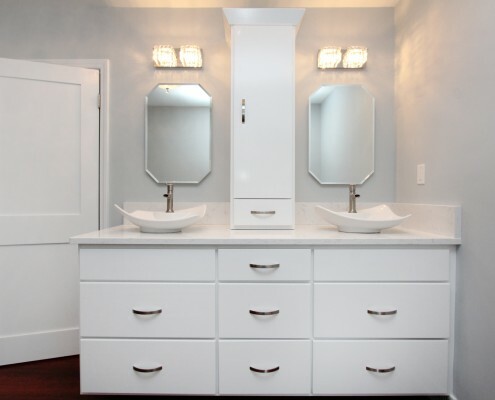 In kitchens, bathrooms and mudrooms, we saw white cabinets selected more than any other finish. White is a classic choice and will not go out of style. It's also extremely versatile in creating a variety of design aesthetics. White cabinets work well in a traditional kitchen or a modern bathroom. Subway Tile. 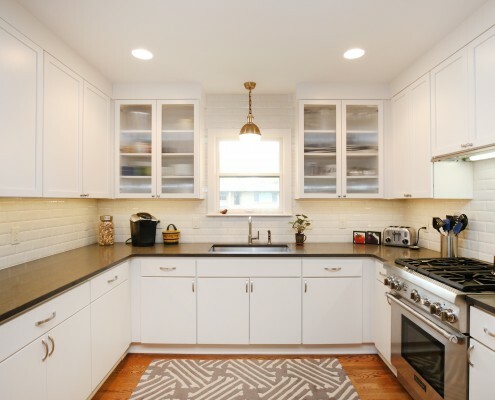 Subway tile has been around for over a century, but in recent years it has been making an incredible comeback. 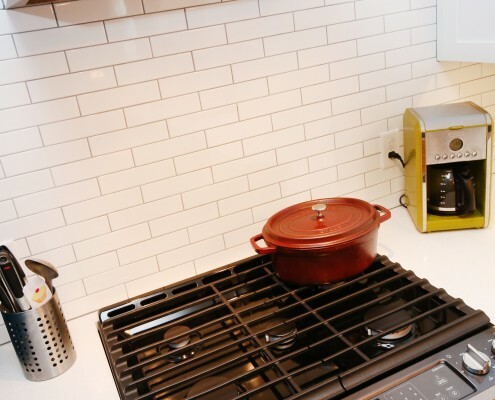 For years, clients were requesting custom mosaic tile designs for their stove backsplash or shower surround. 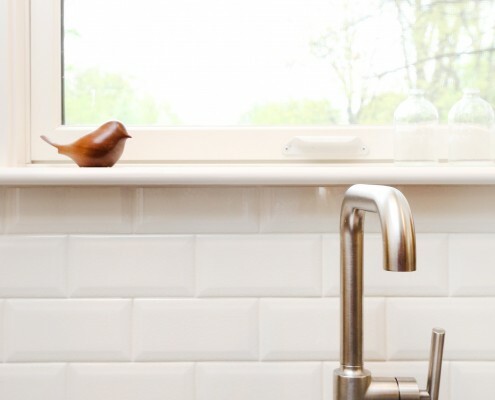 Now, many homeowners are opting for the clean look of subway tile. It comes in a variety of colors and finishes, but our clients really love...you guessed it...white! Free-standing tubs. Another popular remodeling selection this year is the soaking tub. 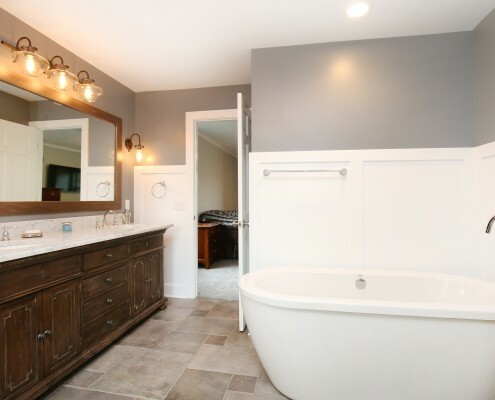 When our clients have the space in their bathrooms, many are opting to separate the shower and tub, which allows you to create two great relaxing bathing options instead of one! We really love that free-standing tubs are not only functional but beautiful, often creating the focal point within your bathroom. Quartz countertops. This is another super versatile material that works well in any style space. Quartz countertops mimic the look of marble or granite, but are much more durable. In fact it's the hardest counter surface you can select. It's great for family kitchens and all types of bathrooms and doesn't require special cleaning or sealing, so it's really low maintenance. Apron sinks. When you first think of an apron sink, you may imagine it in a farmhouse style kitchen. 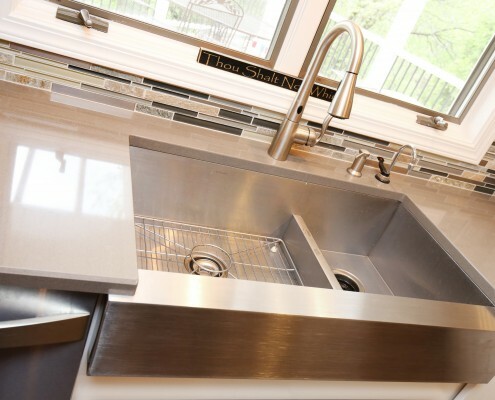 While a white fireclay apron sink is the iconic farmhouse look, there are some really sleek and modern stainless versions available that create a whole different type of space! Kitchen Remodel Spotlight: Mission Accomplished! Mix It Up – Metal Finishes No Longer Have to Match! For the first time ever, Pantone selects two colors of the year!